Chinese tourists cross the frontier border mainly between October and the beginning of April. Summer is empty. 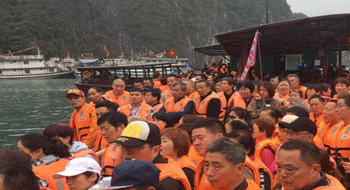 The number of Chinese tourists in Halong Bay is increasing over the days. So, the attractions of this site are always overcrowded. In the morning, there are thousands of people at Tuan Chau wharf. Thousands of Chinese tourists board the junks to visit famous places in Halong Bay such as Sung Sot Cave, Titov Island, Luon Cave, Thien Cung Cave... "Chinese tourists come to Halong Bay mainly in winter and spring, but the summer is quite calm because of the hot weather that does not suit them. Since the beginning of this month, our ships have mainly transported Chinese tourists, sometimes only Chinese tourists. "Said Luong, the sailor of a junks company at Halong Bay. Local authorities say that for about half a month, there are about 600 boats visiting Halong Bay daily, 70% of which are for Chinese tourists. Recently, the influx of Chinese tourists in Halong Bay following the '' 0 Dong tour '' is more and more important. 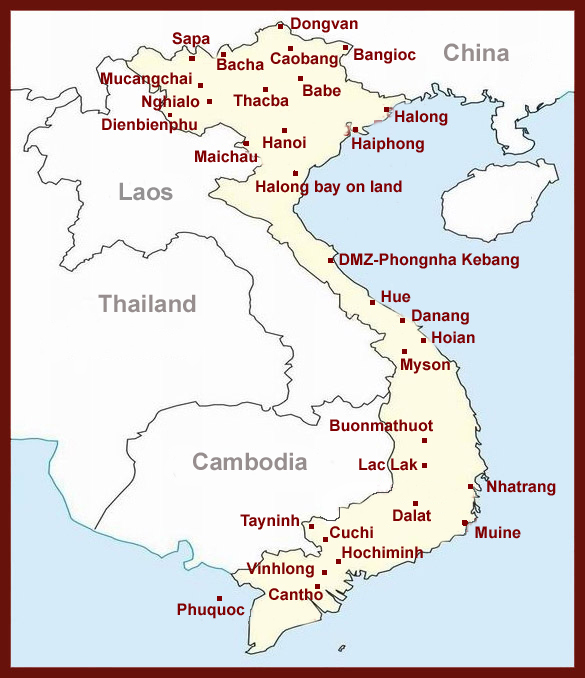 An official from the Tourism Department of Quang Ninh Province said that the "0 Dong Circuit" that appeared in Quang Ninh for a long time continues after a period of silence or ban. Essentially, the "0 D Tour” is a form of marketing. Travel companies can reduce the price of the trip to 0 Dong (Vietnamese currency), which means that the tour to visit Halong Bay or other destinations in the province of Quang Ninh is completely free, however, tourists must commit to enter the shopping centers decided by the tour operators...These shops are the reason for the 0 Dong circuit of Chinese tourists in Halong Bay ", he said. Tourism news Tag: Halong Bay in Vietnam , . permalink .